24 Hour Readathon Wrap Up: I Survived 14 Hours! Hey bookworms! I finally did it! I got an ARC to review off of Netgalley! To make it even better it is based off of one of my biggest obsessions Once Upon a Time! I was more than excited to review this, but a little anxious as well because I’ve never reviewed an ARC before. That being said there will be as spoiler free as possible I say that because you can never truly be too careful. So I hope you enjoy and that my review makes sense. My review will start with what I enjoyed and then onto what threw me off when reading it that led to a 4 star review. Satisfied a Craving: So going into this book I was more than excited to start especially because the show has been on hiatus. So this filled my craving for the show without needing to binge watch the show. Plus you get a peek into Ruby’s life at a younger age and seeing the bond between her and Granny in a whole new light! Characters Who Leapt from the Pages:The characters in this book were very strong and very well developed from Red to the little boy who begs her for cookies. Transported Me With Its World: Another strong point in this book was seeing into the story book world without it being Snow, Regina’s, castle. This book shows the life that makes this heroine what spurs her on for adventure. It helped me escape the stress of city life at school and transported me to not only a different time but a different place. I could practically smell the trees. 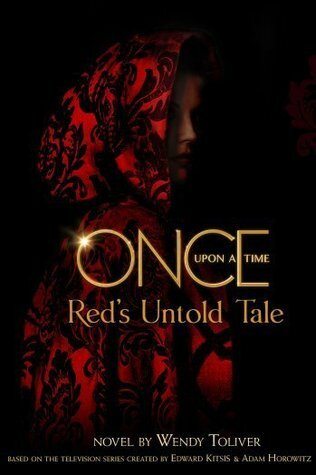 Mystery and Magic: From the wolves, to Red’s Cloak, to the Wizard she found who was my favorite character. I loved the way it kept me turning the pages to find out more. Anyone Can Enjoy It: Last but not least I liked the fact that you don’t have to be a Oncer fan to enjoy. 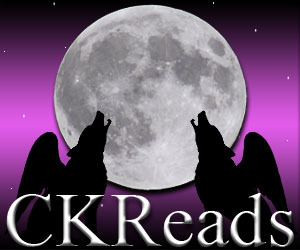 You could simply be looking for a retelling on Red Riding Hood and still enjoy this book! Honestly when I have the money I am supporting this book by getting my own digital copy as well as the paper copy! Now I will admit I am not sure if I had issues with some of these things because it was an ARC copy and how it was formatted, so my thoughts may change when I get a real copy, so they aren’t major negative things. Dreams and Memories and Current Day Dates: I feel I can link this together quite easily because they all had the same effect of the story. They threw me out of it abruptly or disturbed the flow. There wasn’t really a break between the dreams and the memories when coming back to Red’s current world at times because they would just make an immediate slip back into the present. That being said her days that had dates came out of nowhere at times within the chapters. They were not chapters themselves but were in the chapters themselves which was confusing at times especially when I was torn between reading and sleeping. If they flowed better I would’ve gladly stayed awake to finish it off. That being said as I claimed above it could have just been the formatting of reading an ARC. Well bookworms I was glad to have started this as my first ARC. It was a content I already knew I loved and when not getting distracted by the issues above it went by quite fast. This book is more aimed at the younger audience but any age can truly enjoy this. If you’re curious about it but haven’t watched the show you can pick it up because there were no spoilers to the Once plots. That being said that’s it for now? Do you watch Once Upon A Time? Who is your favorite character? Which is your favorite fairytale? Did I convince you to pick it up? What was your first ARC you reviewed? Let me know down below and I’m always up for constructive Criticism! Happy Reading!